We do get lots of Egrets around but they are usually in groups and seems to me it is usually in late spring and summer. 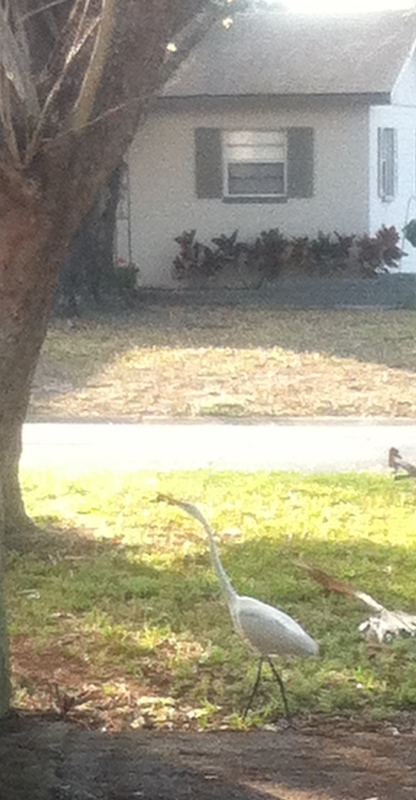 This guy was all alone and completely unfazed by me…just nonchalantly strolled about the yard. A gift, unexpected, but you welcomed him/her with open arms! Special, and can only make you question the beauty of why you were the honoree. 🙂 Sweet, for sure. It is the bearer of good news from the main source. It was just for you to see, document the presence, and anticipate the manifestation of the gift…………….. You didn’t have to be a photographer to do a brilliant job at capturing the moment. You just did it naturally because the moment enveloped both the gift delivered and the gifting in you…If you had planned it, it would have lost its supernatural quality. Enjoy what ‘s on it’s way…………….. Yay!!!!! 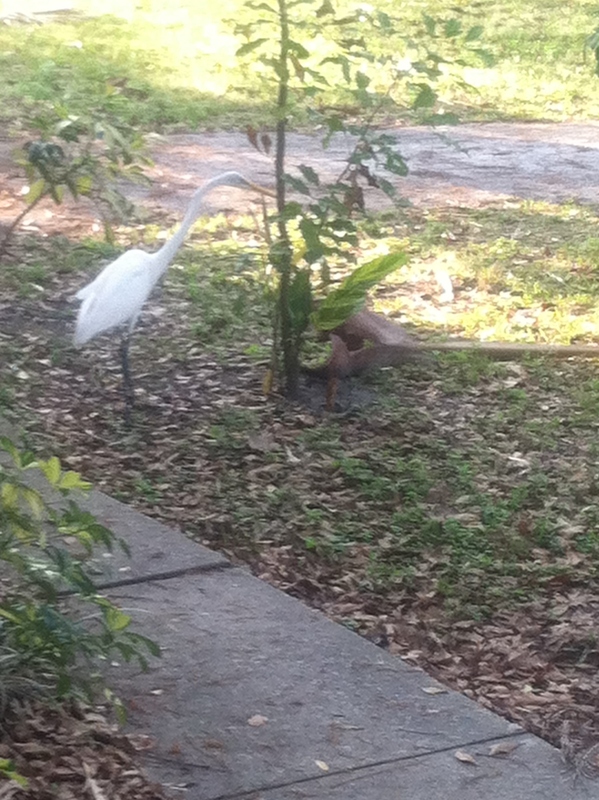 For egrets who are beautiful and fine.